Flanagan, 48, most recently served as president of the ConAgra Foods Snacks Division, one of North America’s leading suppliers of packaged foods. She will succeed Ron Foster, grandson of company founders Max and Verda Foster, as Foster Farms’ president and CEO. Foster previously announced his plans to step down. 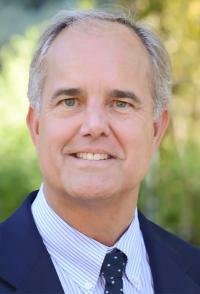 He will remain a Foster Farms owner and member of the board of directors. Before taking leadership of the Snacks Division, Flanagan served as president of ConAgra’s Convenient Meals Division from 2008 to 2011, revitalizing and expanding key brands. She also led initiatives to promote diversity, develop internal talent, and build skills and capabilities throughout ConAgra. 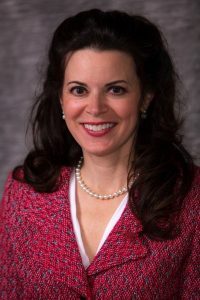 Before joining ConAgra, Flanagan served as vice president and chief marketing officer of Tropicana Shelf Stable Juices at PepsiCo and, from 1996 to 2005, held brand-management positions at General Mills and PepsiCo. Earlier, she was a manufacturing engineer at Saturn Corporation. She earned an MBA from Stanford Graduate School of Business in 1996. Flanagan currently serves on the board of directors at Core-Mark International, one of North America’s largest marketers of fresh and broad-line supply solutions to the convenience retail industry. Under Ron Foster’s leadership, the company grew by 70 percent and became the nation’s first major poultry producer to be certified by the American Humane Association. In June, Foster Farms was selected as the 2016 Processor of the Year by The National Provisioner for industry-leading achievements in food safety, water conservation and product diversity. While Ron Foster led the company, it raised the National Thanksgiving Turkey for the White House on two occasions, became the No. 1 brand of frozen cooked chicken in the western U.S., and became the largest producer of organic and antibiotic-free fresh chicken on the West Coast. California-based Foster Farms employs more than 12,000 with facilities throughout California, Oregon and Washington as well as Farmerville, Louisiana, and Demopolis, Alabama. Since 1939, West Coast families have depended on Foster Farms for premium-quality chicken and turkey products. Family-owned and operated, the company continues its legacy of excellence and commitment to quality established by its founders, Max and Verda Foster. Foster Farms specializes in fresh, all-natural chicken and turkey products free of preservatives, additives or injected sodium enhancers. Based in California’s Central Valley, with ranches in the Pacific Northwest, the company’s fresh chicken and turkey are produced in or near each region served. Foster Farms also produces delicious pre-marinated, ready-to-cook and fully cooked products that meet the quality and convenience needs of today’s home cooks, retailers, warehouse clubs and foodservice customers. The company’s commitment to excellence, honesty, quality, service and people is a source of great pride and a longtime family tradition. Visit www.fosterfarms.com to learn more.